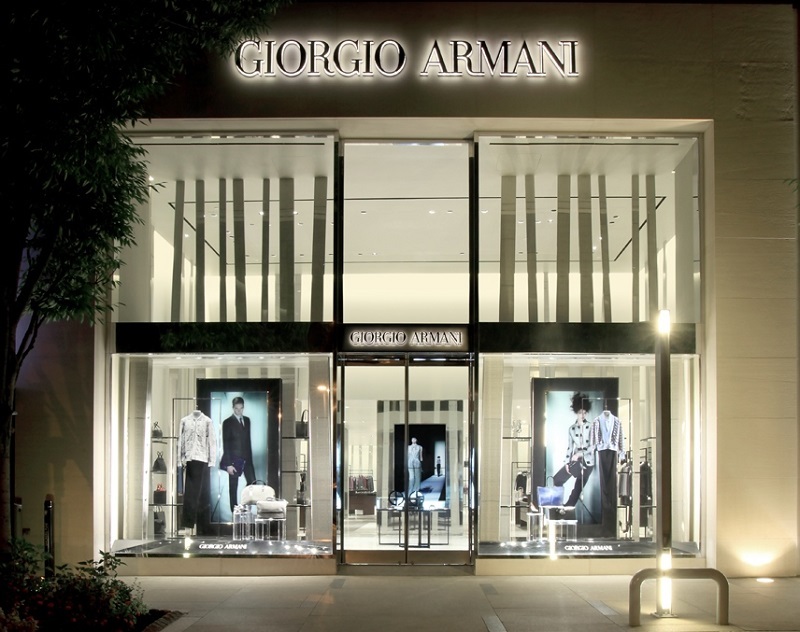 The Giorgio Armani boutique at the Americana Manhasset features greige colored stone for the floors and a custom metallic paint for the walls and ceilings. 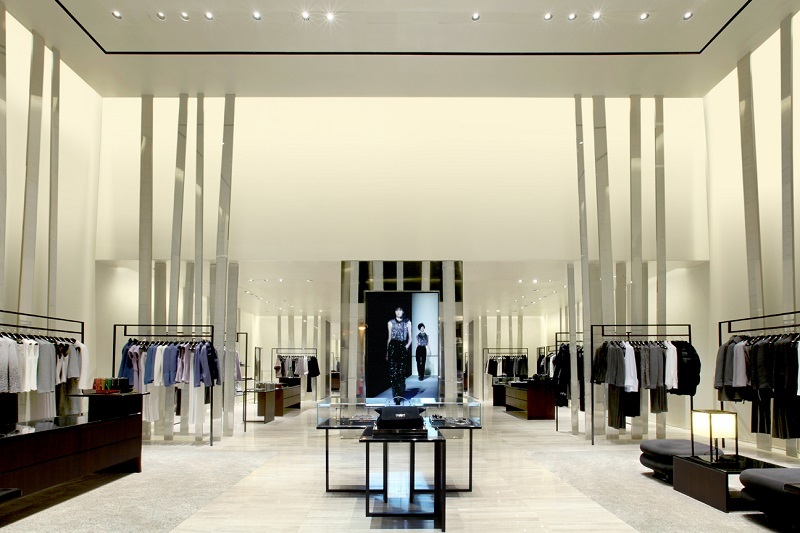 Steel columns throughout the interiors are finished with a satin texture to suggest the ribbing of bamboo, while teak, glass, and metal fixtures display merchandise. KPA served as Architect of Record for this project.